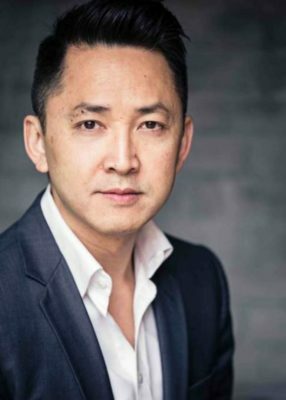 Nisa Khan and Christian Paneda of Michigan in Color sits down with Viet Thanh Nguyen to discuss Asian-Americans and his Vietnamese heritage. 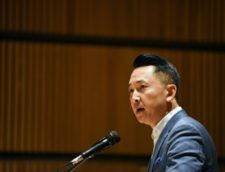 Michigan in Color had the opportunity to sit down with the Pulitzer Prize winning author Viet Thanh Nguyen to discuss his work and his upcoming lecture at the Lydia Mendelssohn Theatre on Tuesday at 5:30 p.m about his Vietnamese heritage and history. The conversation turned toward the complexities of the Asian American and Asian identity as well as its place in the greater discussion about self-perception and belonging in the United States and the world. Nguyen specifically identifies as a refugee, rather than an immigrant, acknowledging the label makes many uncomfortable because it challenges the standard expectation of arriving to the country to pursue the American Dream. His work is slowly expanding the notion of what it means to be Asian in the United States. 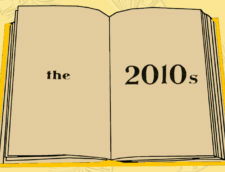 Nguyen is the author of the New York Times bestseller “The Sympathizer” and is a prominent figurehead and scholar for Asian-American studies. Currently, he is a professor of English, American Studies and Ethnicity, and Comparative Literature at the University of Southern California where he is also the Aerol Arnold Chair of English. Nguyen came to the United States as a refugee when he was four years old — his first faint memory was being temporarily separated from his parents after the fall of Saigon. The family reunited and eventually settled in San Jose, California. His story is a familiar tale — it is part of the cycle of how war consistently produces refugees. In his lecture, titled “Race, War, and Refugees,” Nguyen will be reading from several of his works that deal with the Vietnam War and its aftermath. He said he set out to expand the narrative of the Vietnam War — which was primarily seen through the American soldier’s perspective — especially since refugees are often spoken of in a detached context. However, when asked if he set to help put a “human face to an issue”, he resisted the notion of “humanizing a cause” because the idea comes from a privileged sense of engaging with refugees. 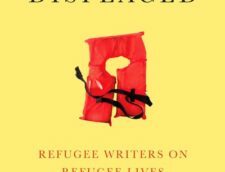 “The Refugees”, “The Sympathizer” and his short stories offer that complex narrative. While many of Nguyen’s stories are narrated from a Vietnamese perspective, he intentionally wrote from non-Vietnamese perspectives to subvert expectations placed on writers of color. One of his stories feature a bomber pilot who is lightly referenced to be a Black man. The formation of Asian-American identity is a continuous conversation, especially in 2018. With the release of “Crazy Rich Asians”, the lawsuit filed by Asian Americans against Harvard in the context of affirmative action and family separations that also affect particular Asian-American ethnic groups, the discourse of what is Asian American becomes complicated and oftentimes divisive. Asians in the United States are frequently in a hazy, undefined moment in the national conversation about race. The Asian-American and Pacific Islander community is often slotted together in demographic surveys, making it is easy to write them off to the model minority stereotype that overlooks newly-arrived immigrants, Asians of low socioeconomic status and refugees. In the A/PIA community that covers so many different identities, in a discussion that is often put in a binary, there can be trouble navigating a space where many don’t consider them as people of color or when the community itself perpetuates racism. While non-Asian-Americans may display a harmful behavior of compartmentalizing experiences into a single narrative, Nguyen points out that many Asian Americans themselves fall into the same thinking that is frequently not discussed. The Asian-American community itself sometimes conflates all experiences to one dominant story. This is a mode of thinking that Nguyen wishes to change. Then there is the term “Asian-American” itself, which has the potential to mean a wide spectrum of connotations. “The even more expansive version of this (Asian-American) goes internationally and also acknowledges the role that global capitalism and the history of orientalism and colonization and played in producing Asian Americans in the first place,” he said, explaining while many strive to have a place in the American discourse will also have to acknowledge the idea of participating in a military that contributes to exploitation. Another large part of the Asian-American discourse is the importance of media representation. “Crazy Rich Asians” was hailed as a win for the A/PIA community but quickly embroiledin its own discourse among Asian and Asian-American viewers on who gets to be on the screen. Nguyen said this conversation could also be connected to how Asian Americans and Asians view their place on a larger, international stage. However, Asians in other Western countries approach their identity very differently. French influences are a minor thread in Nguyen’s novel “The Sympathizer”, which is about a half-Vietnamese, half-American communist agent. The sequel will be set in France and Nguyen said he will be directly confronting the question of colonization. Vietnam gained independence from France in 1954 and Nguyen said the French have been successful in romanticizing the country and its culture despite the history. “And I’m guilty of being susceptible to all of that, (so) it is crucial … to spend the last couple of summers in France for extended periods of time, getting past the romance and seeing a little bit more closely how cultural differences and racism work in France because they do exist in France,” he said. During his visits to France, Nguyen realized that the discussion around race is engaged differently — for example, there is no equivalent of an Asian-American identity in the country as there is in the United States. He had to find the balance between not giving up his thinking as an Asian American but also to respect the French-Vietnamese experience. As a section dedicated to people of color and their narratives, we find ourselves in difficult situations as we navigage our writers through their articles in the face of negative backlash. It can be difficult for people of color to break into the industry on personal narratives — Nguyen offers his final advice for aspiring writers hoping to share their perspectives with the world. Nguyen will be on campus on Tuesday, Sept. 11 at 5:30 p.m. in the Lydia Mendelssohn Theatre to do a reading of his work and discuss the role of creative writing, scholarly criticism and empathy during our current divisive time. Ashley Tjhung contributed to this article.